The Nerium ingredient list begins with NAE-8 the most important ingredient on the list. The NAE-8 extract contains powerful antioxidant properties, used to formulate the age-defying Nerium product line.Nerium International is the first company with the patented exclusive process to harness the power of the Nerium oleander plant in skincare products. The Nerium ingredient list contains the exclusive NAE-8 Proprietary Blend which provides amazing age-defying results when applied to your skin. This was an accidental discovery during advanced research. A process was then developed, NBio-PL2, to derive an extract from the Nerium oleander plant in a way that will preserve its unique and beneficial properties. The extraction process was then patented. 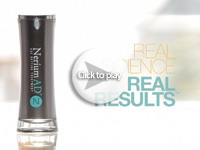 The patented extraction process yields the Nerium ingredient NAE-8 extract. 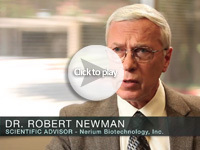 The world’s only commercial farming operation for Nerium cultivation was established by the Nerium Biotechnology’s scientists. Nerium implements strict biomedical field protocols. The farming operations are earth-friendly and environmentally responsible providing the raw material needed for the Nerium SkinCare botanical extracts. The oleander field’s supply is reserved exclusively for the research and production of the Nerium oleander. Nerium International controls this main active ingredient from seed to bottle, making the Nerium skincare line both high-impact and innovative. This is what makes the Nerium Difference. The Nerium AD product line addresses multiple concerns including wrinkles, discoloration, and texture. The Nerium ingredient list for Nerium AD Age-Defying Treatment is as follows: NAE-8 Proprietary Blend (Aloe Barbadensis Leaf, Nerium oleander Leaf Extract), Aloe Barbadensis Leaf, Peptide Matrix (Collagen, Elastin, Glycosaminoglycans), Oryza Sativa Bran Oil, Stearic Acid, Cetearyl Glucoside and Cetearyl Alcohol, Glycerin, C14-22 Alcohol and C12-20 Alkyl Glucoside, Glyceryl Stearate, Ricinus Communis Seed Oil, Cetyl Alcohol, Olus Oil, Chondrus Crispus Powder, Sodium Borate, Dicaprylyl Ether, Hydrolyzed Quinoa, Sodium Isostearoyl Lactylate, Dimethicone, Sodium PCA, Proprietary Blend (Caprylyl Glycol, Glycerin, Glyceryl Caprylate, Phenylpropanol), Parfum, Sodium Hydroxymethylglycinate, Tocopherol. 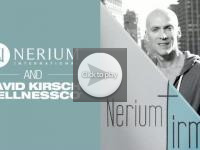 This entry was posted in Nerium, Nerium AD, Nerium Biotechnology, Nerium International, Nerium Oleander, What is Nerium and tagged Age-Defying, Nerium, Nerium AD, Nerium Biotechnology, Nerium Ingredients, Nerium International, Nerium Oleander, Nerium Skincare on November 7, 2014 by Administrator. Nerium AD Products have proven astounding effectiveness at diminishing the signs of aging, including reducing the appearance of fine lines and wrinkles. To many UV rays, cigarettes, and insufficient nutrition, these factors can cause premature aging to your skin. Nerium Ad products can still help restore your skin’s youthful glow. Because of the extremely effective patented ingredients in Nerium AD, you can predict to see results in just 30 days. Third-party clinical studies, in-house research, and enthusiastic testimonials have confirmed Nerium AD has astounding effectiveness at diminishing the ravages of time, including reducing the appearance of wrinkles. Nerium AD isn’t a miracle product that claims to offer unconfirmed results; it’s a science-backed product resulting from careful observation, scientific discovery and confirmed outcomes. If you’re still young, you have the power to prevent many of these aspects that cause wrinkles. You can also begin using Nerium AD products at an early age to counter the natural signs of aging that no one can prevent. 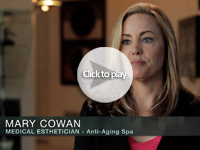 Nerium AD effectiveness sets it apart from other cosmetics. It’s all about top quality, effective components, the most impressive of which is the Nerium oleander plant. Several years ago, researchers unintentionally found how efficient the Nerium oleander is as a natural skin care item. By creating an extraction technique to protect the plant’s efficiency and couple it with other efficient components, such as natural aloe-vera, Nerium AD skincare products were created. This entry was posted in Nerium, Nerium AD, Nerium Ad Reviews, Nerium Oleander, What is Nerium and tagged Nerium, Nerium Ad Products, Nerium Oleander, Nerium Skincare, NeriumAD on October 14, 2014 by Administrator.